Mikey Franco has lived in Jackson Hole, Wyoming for 26 years. He started teaching snowboarding the first year he moved to town, and has been a guide for Jackson Hole Mountain Resort for 16 years. 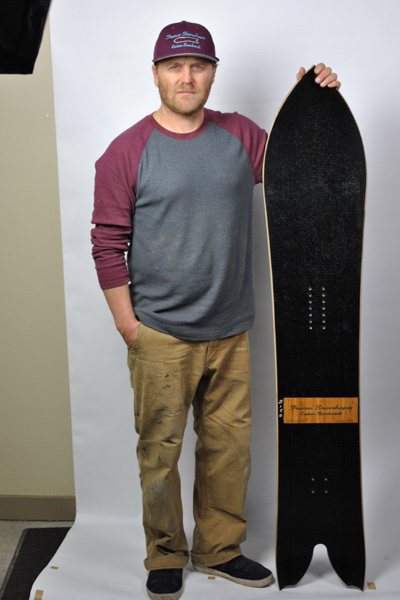 Franco recently took on a second job, snowboard manufacturing. He wanted to take the knowledge he had collected from years of guiding and teaching—watching people ride and listening to their terrain and conditions preferences—and integrate it into boards that were custom made for the rider. 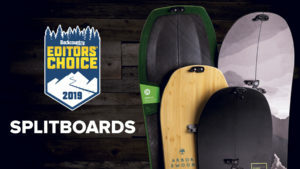 We chatted with Franco about why he started his company Franco Snowshapes in 2011 and how he thinks his custom boards speak to the evolving needs of the greater snowboard and splitboard community. 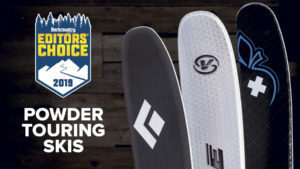 Backcountry Magazine: When did you make the decision to start manufacturing snowboards? Mikey Franco: I started in 2010 at the Igneous ski factory in Jackson, and that’s who taught me how to make snowboards. When I got injured I missed a season and that is what got me into the Igneous factory. We all went to high school together and they said, “Hey, come make a board while you’re hurt.” I had also been to Japan earlier in the season before I got hurt and saw a Gentemstick snowboard (Gentem for short) when I was traveling in Niseko. I was blown away by the shapes and the beauty, everything about Taro Tamai’s [the founder of Gentemstick] snowboards. That was a big inspiration. 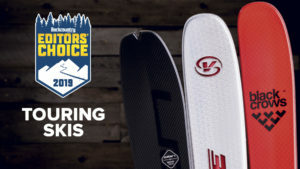 Then my best friends already making skis and snowboards just brought everything together. I thought, “Wow, I want to make something like a Gentemstick in America.” No one was doing it. The snowboards I saw in Japan were the epitome of snowsurf. The Igneous guys were amazing in teaching me and allowing me to explore my own avenue for building boards. BCM: What sets your boards apart from others on the market currently? MF: We have gotten to a point where we have been making custom stances right now, because once you know where someone is going to ride, or what their riding style is like, you can hone in on the sweet spot of a board in a precise manner. If you buy an off-the-shelf snowboard, it has 28 holes in it for bindings. That is because the manufacturer has no clue where you are going to stand on the board. In our shop we can locate that sweet spot so we can put the binding position exactly where it needs to be. We don’t need to put 28 inserts in the board; we need eight. BCM: How do you balance guiding and manufacturing? Being an instructor and guiding—my whole career has been spent watching people ride, whether it is backcountry powder or a beginner on a groomer. It has always been about watching other people and how they interact with their snowboard—that was really crucial in what I am doing. 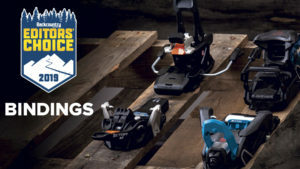 I am focusing on building snowboards from your head down to your feet, not from the floor up. The experience I have with teaching and guiding centers around that concept, choosing terrain based on someone’s ability and based on their equipment. Combining all of those things together to build a board for someone really specific to who they are, where they ride, what kind of conditions they are going to ride the most in central to my snowboard manufacturing. Nothing does everything great, so to me it is about being very specific about a shape and a rider and the conditions and the terrain so that it performs as best as humanly possible relative to the conditions. I want my boards to be outstanding in what they are designed to do. Video: A time lapse of Franco Snowshapes production. 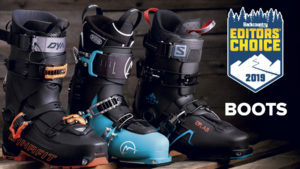 BCM: How do you think your designs will affect the greater snowboarding/splitboarding community? MF: A splitboard is primarily for powder. Sure you are going to have your touring brackets just ahead of the center point of the boards for obvious reasons in touring, but the stance pattern can be exactly the same in terms of being custom. When people order splitboards, our goal is to engineer the entire board so that they don’t have to go out and figure out where they want to put their bindings—how to mount them. 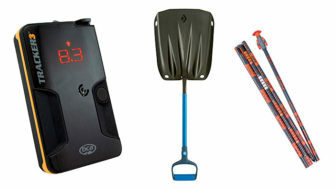 That is really simplifying splitboards because there are so many parts to them. I don’t ski and I haven’t really skied in my life, so when it comes to skiing on my splitboard, if I can have my binding position where it needs to be, I don’t have to guess my stance where I need to be when I am touring. BCM: What are some of the challenges you face trying to split your time between guiding and snowboard manufacturing? MF: This year is more challenging than the others because I moved out of my old shop. It took me about three months to get set up. I am behind on board orders and I still need to make money as a guide, because I am not making a ton of money manufacturing snowboards. It is new; it’s just getting started. The position I am in is unique though, and I don’t want to lose that. I can take people out on the early tram into the Jackson Hole backcountry and give them that opportunity to try a board out. The difficulties are shop time versus on-snow time—getting boards done and out the door and being on the mountain. But that’s OK, that’s what I want. 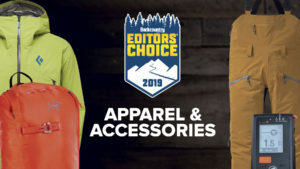 BCM: How is your company a reflection of what the snowboarding and splitboarding community is looking for in gear? MF: We are seeing for the first time that snowboarding is growing up, it’s maturing. I am 46, and I have been snowboarding from day one. I have spent about 20 days on a pair of skis just because they wouldn’t let me snowboard. There are now a lot of people that started off on a snowboard; they were never skiers. That makes a difference in their mentality. Our influence was surfing and riding powder. As I get older, I am not interested in riding terrain parks anymore. About 95% of snowboards made today aren’t made for that. They are made for spinning and going backwards. I think that the snowboard population is growing out of that phase. They are ready for unique shapes that ride pow smoothly and predictably. 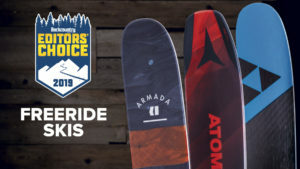 One of my first questions to a customer is, “How often do you ride switch?” and the answer usually is, “ I don’t really ride switch too much.” Then I ask, “Well, why do you need a twin?” I think snowboarding is changing and it is taking on more style and more shape. This evolution is badly needed. To get people’s custom boards dialed, we use a program called the Rider Genome Profile. We give out a survey that gets at what makes a certain rider tick, what they do in their free time. This is an incredible tool. I have never met a person but I know their biology, every piece of how they ride and what they do when they’re not snowboarding. 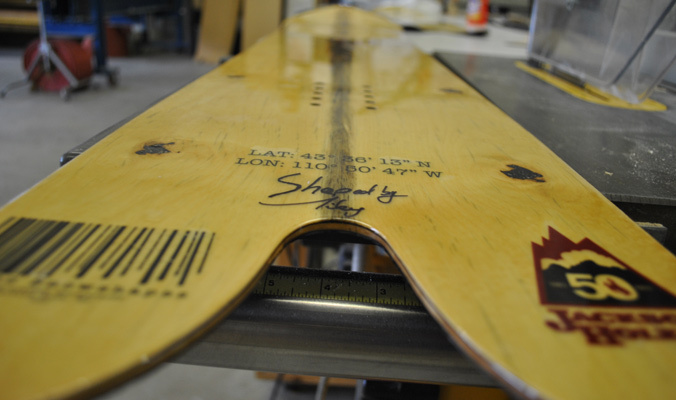 That means I can design a snowboard that is truly tailored to a human, not just a body. Video: A Franco Snowshapes board carving it up. 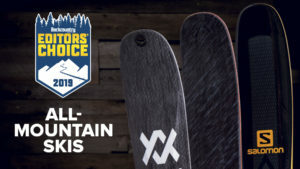 To find out more aboutFranco Snowshapes snowboards, visit francosnowshapes.com.